Celebrate the holidays with spontaneous plays and a party! 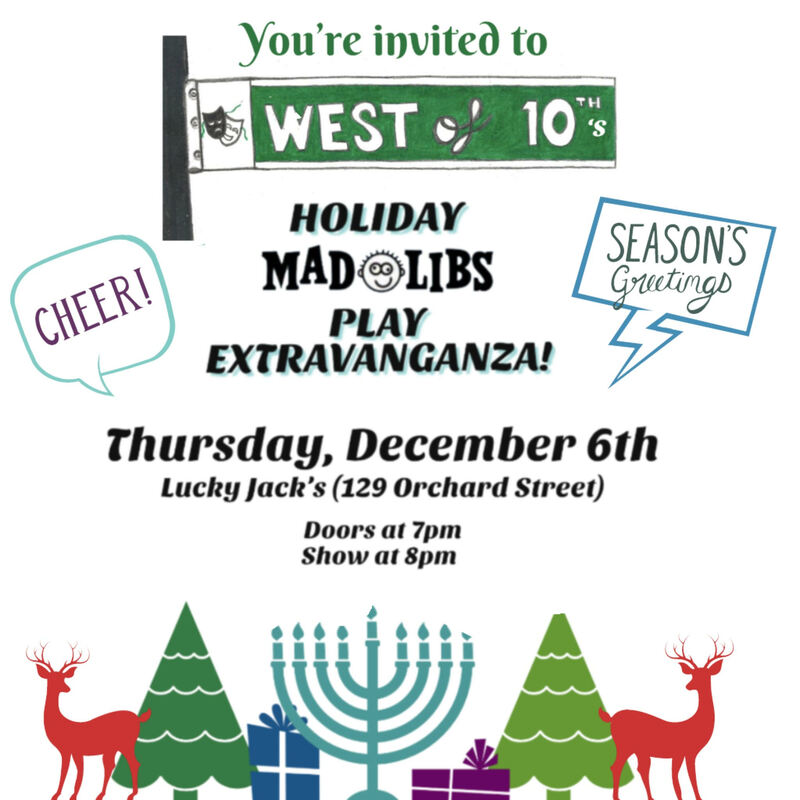 The night before the event, six playwrights will receive a gift of inspiration in the form of an unfilled winter holiday Mad Lib. They'll each write a 10-minute play, which actors and directors will rehearse in the afternoon. Then, at the event, the audience will fill in the Mad Libs, and the actors will adjust their scripts appropriately, just moments before taking the stage. Join us for a night of madcap fun and hilarity! The party starts at 7pm, and performances will begin at 8pm. Your ticket is your entry to the show and includes snacks and revelry. Drinks are available for purchase through our host, Lucky Jack's. This is a fundraising event for West of 10th's upcoming programming, which will feature our first commission of a new millennial play!